Ted Powers has a broad practice that covers private equity and venture capital transactions, mergers and acquisitions transactions, equity investments, and joint ventures involving public and private companies and private equity and venture capital funds globally. His practice spans multiple industries, with a particular focus on the financial services, financial technology and life sciences sectors. Ted regularly advises senior management and boards of directors of both public and privately held entities on strategic and corporate governance matters. Ted represents acquirers, targets, sponsors and financial advisors in public and private merger and acquisition transactions, joint ventures, strategic equity investments, and corporate control contests across multiple industries and geographies. Represented sellers in the sale of Nephila Holdings Ltd. to Markel Corporation for an enterprise value of approximately $1 billion. Represented Aspen Insurance Holdings Limited in its agreement to be acquired by certain investment funds affiliated with Apollo Global Management for $2.6 billion. Represented SoftBank Corp. in its acquisition of a 78% stake in Sprint Nextel for an enterprise value of $44.8 billion. Represented Veeam Software Holdings in a $500 million investment by Insight Venture Partners in Veeam. Represented Nephila Partners LP in the sale of Nephila Holdings Ltd. to Markel Corporation for an enterprise value of approximately $1 billion. Represented Insight Venture Partners in connection with various investments. Represented FS Investments in connection with its financing, in part, of the acquisition of the Macaluso Group Limited Liability Company by Genstar Capital Management LLC. Represented Assured Guaranty in its agreement to reinsure Syncora’s insured portfolio in a $14.5 billion transaction. Represented Aberdeen Asset Management Inc. in its acquisition of Hark Capital from Enhanced Capital Group LLC. 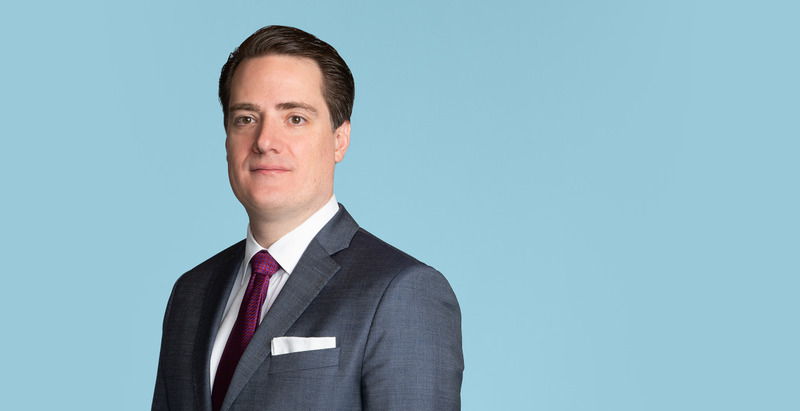 Represented Aberdeen Asset Management Inc. in its acquisition of the U.S. business of ETF Securities, whose U.S. operations managed $2.8 billion. Represented Allied Beverage Group LLC in a merger with R&R Marketing LLC, a wholly owned subsidiary of Breakthru Beverage Group LLC. Represented Constantia Flexibles in the sale of its Labels division to Multi-Color Corporation for an enterprise value of approximately €1.15 billion in cash and Multi-Color stock. Represented American International Group Inc. in its sale of a controlling stake in NSM Insurance Group LLC to ABRY Partners and subsequent sale of a minority stake in NSM Insurance Group LLC to White Mountains Insurance Group Ltd. Represented Clovis Oncology Inc. in its underwritten public offering of $345 million of shares of its common stock. Represented Soros Fund Management in connection with various investments. Represented Veeam Software AG in its acquisition of N2W Software Ltd. in a transaction valued at $42.5 million. Represented Melinta Therapeutics in its acquisition of the infectious disease business from The Medicines Company for $270 million in upfront consideration, guaranteed payments, tiered royalty payments, and the assumption of royalty, milestone and other payment obligations. Represented TigerRisk Partners in connection with various investments. Represented Aquiline Capital Partners in its sale of BI-SAM Technologies to FactSet Research Systems Inc. for $205.2 million in cash. Represented BNP Paribas Financial Services LLC in its acquisition of the middle office and back office business from Janus Capital Management LLC. Represented Centerbridge Partners in its acquisition of Southwest Stage Funding LLC. Represented iPayment Inc. and its parent, iPayment Holdings Inc., in a comprehensive refinancing that involved an exchange offer for outstanding notes, a tender offer for existing common stock, and entry into of a new credit facility. Represented BI-SAM Inc., a portfolio company of Aquiline Capital Partners in its acquisition of FinAnalytica. Represented Hallmark Cards Inc. in its take private of Crown Media Holdings Inc. in a transaction valued at $175 million. Represented HCC Insurance Holdings Inc. in its $7.5 billion acquisition by Tokio Marine Holdings Inc. Represented IKANO Communications Inc. in the sale of its broadband Internet access business to Broadvoice. Represented The Sterling Group in its acquisition of Process Equipment Inc. Represented Transaction Committee of the Board of Directors of Excel Maritime Carriers Ltd. in the sale of 34 vessels to Star Bulk Carriers for approximately $288 million. Represented Insight Venture Partners backed GFI Software in its sale of TeamViewer to Permira. Represented Vet Therapeutics Inc. in connection with its approximately $38 million agreement to be acquired by Aratana Therapeutics Inc. Represented DaVita Inc. in its approximately $4.42 billion acquisition of HealthCare Partners Holdings LLC. Represented Mitsui & Co. Ltd. in connection with its entry into a joint venture to develop and own new energy infrastructure facilities in the United States and in Mexico and in connection with its acquisition of a 30% stake in 10 wind farms and two solar photovoltaic power plants in Canada from GDF SUEZ Canada Inc. Represented Sumitomo Corporation and Sumitomo Corporation of America in the divestiture of Cantex Inc. Represented Terumo Corporation in its approximately $2.6 billion acquisition of CaridianBCT from Sweden’s Gambro AB. Represented Arrendadora Ve por Más, S.A. as U.S. counsel in its approximately $70 million acquisition of ING Arrendadora, S.A. de C.V. Organización Auxiliar de Crédito. Represented Fortress Investment Group LLC in the refinancing of $1.7 billion in debt of Intrawest. Represented Endo Pharmaceuticals Holdings Inc. in its approximately $144 million tender offer for Penwest Pharmaceuticals Co. Represented MDS Inc. in its approximately $650 million divestiture of its analytical technologies business to Danaher Corporation. Represented Columbus Acquisition Corp. in its approximately $249 million proposed acquisition of Integrated Drilling Equipment Company. Represented Comtech Telecommunications Inc. in its approximately $224 million tender offer for Radyne Corporation. Represented Lazard Frères & Co. LLC as financial advisor to Amazon.com, Inc. in connection with Amazon’s approximately $300 million tender offer for Audible Inc. Represented CEMEX S.A.B. de C.V. in its approximately $255 million divestiture of certain assets to CRH plc in connection with its acquisition of Rinker Group Ltd. Represented an investment management firm, with approximately $3.0 billion of assets under management, in matters related to its investment in a global provider of dry bulk seaborne transportation services through the ownership and management of dry bulk vessels. Represented Avaya Inc. in its approximately $8.2 billion agreement to be acquired by a private equity consortium composed of Silver Lake Partners III L.P. and TPG Partners V L.P. Represented Stena AB in various matters, including in connection with tender offer and consent solicitations, an offer to purchase senior notes, and a European note offering. Represented Employers Holdings Inc. in its conversion from a mutual insurance holding company to a stock corporation and its related $523 million initial public offering. Represented Rusal in its approximately $400+ million acquisition of an alumina/bauxite mine and facility in Australia and its approximately $300+ million proposed acquisition of a mine and facility in Jamaica in the Kaiser Aluminum bankruptcy cases. Recognized as a “Rising Star” in the area of Mergers & Acquisitions by New York Super Lawyers. Ted is a member of the American Bar Association, the New York State Bar Association, and the Delaware Bar Association.